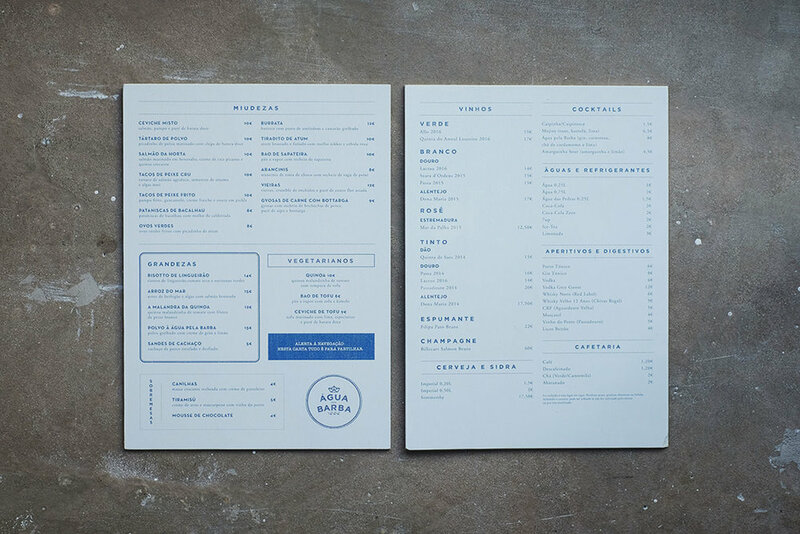 The project for Água pela Barba included naming, copy, logo and menus. The main concept was to bring the fisherman's cabin into the city. The name is a popular portuguese expression and it's used for getting into trouble but it also means having water up the bow of your boat. The logo plays with the pun barba (meaning both beard and bow) and depending on you perspective you can either see it as a hat + beard or a water + waves. 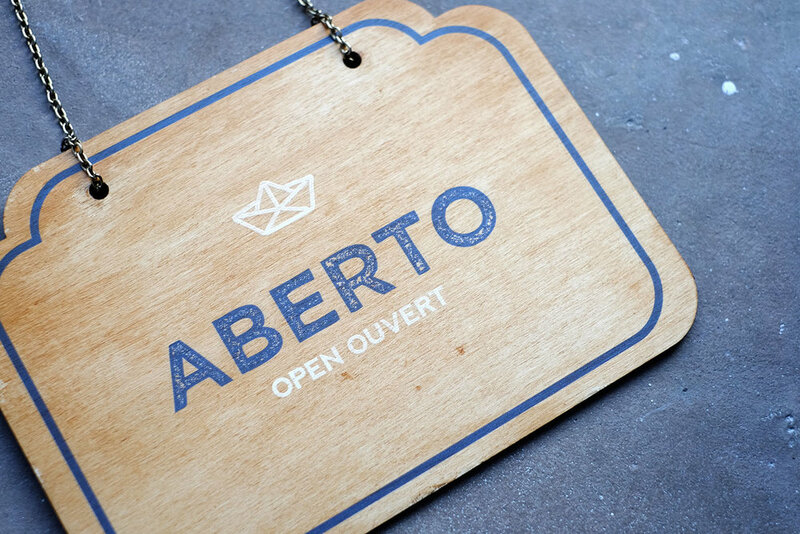 We kept the wood textures throughout the identity and added some modern typography and contemporary icons. For a restaurant that serves mostly fresh fish and seafood dishes blue seemed only natural but we finished it of with raw cottonwood and pine textures and a hint of coper for a little something extra.